Well, I didn't try to get it out, but I don't think I need to. The yoke surface where it goes through seal is 1.573" (with repair sleeve). I checked the OD of another speedo drive gear - it was 1.741". Assuming its the same OD as the gear in the case, the gear is .168" larger than the yoke surface that the seal bears on. I don't think the seal would tolerate that without damage. If I do need to remove the gear, I'll just pull the rear bearing cap. You can see the speed drive gear behind the seal in this photo. Like I said all the pre 1963 CJ gear sets are early design for 4.88 and 5.38 ratio. What you are installing is a post 1962 speedo gear set. 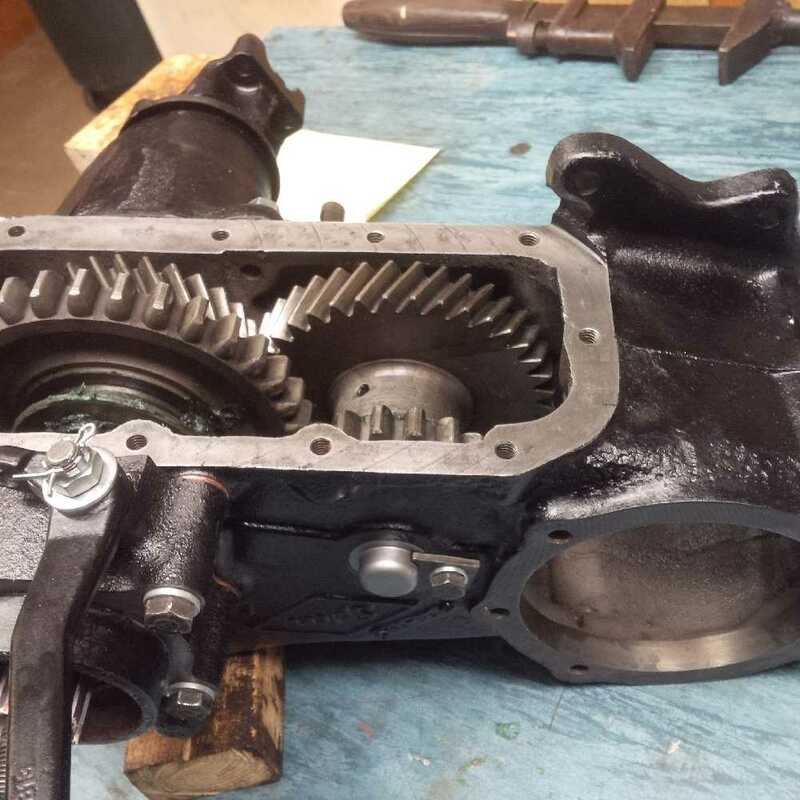 All post 1962 gear sets used a longer drive gear with shorter companion flange. The late companion flange #912105 is nearly 1/8" shorter than the early companion flange #116714. 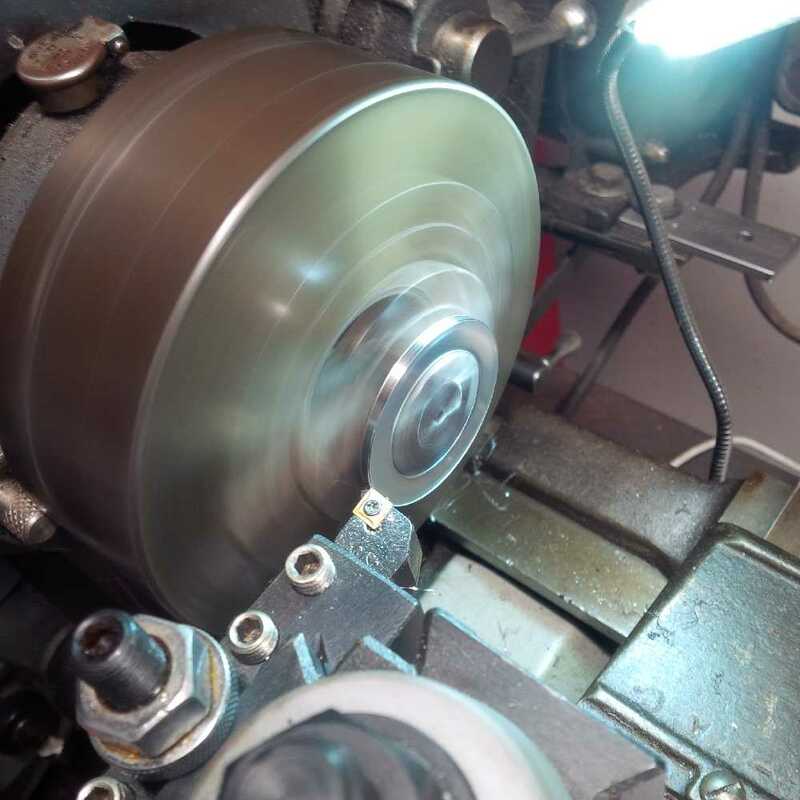 I see no reason why you cannot use the shorter late type companion flange with a thick D20 speedometer shim pack. Yes I think so. I ordered two sets of shims. But I don't know how thick they are. Hopefully there will be enough to make up the difference. I was looking over some D20 rebuild articles to see how the shims are used. Here is a photo I found that shows shims up against the gear. If I receive enough shims, it should work. So I measured the difference between the early and late length companion flanges. Approximately 1.65" spline length vs 1.5 "or a bit over 1/8" of difference. I'm not sure how many shims are included in a typical D20 rear output shaft shim pack as I tend to save up and re-use the old shims. 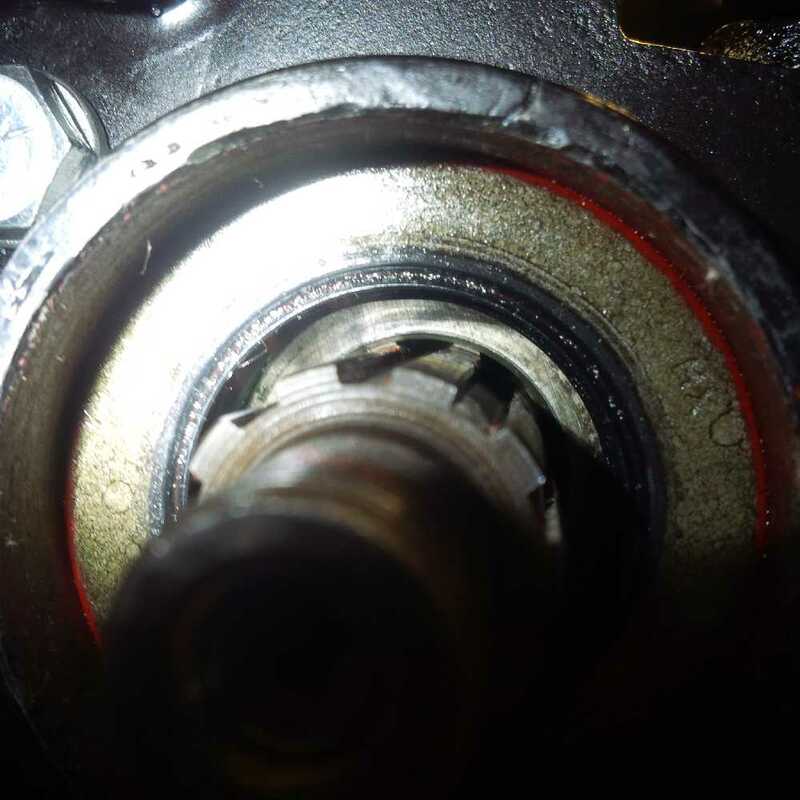 I decided to pull the rear bearing cap and see exactly what I have. I also will remove a shim as endplay was still a little more than I want. The drive gear is. 987" long. 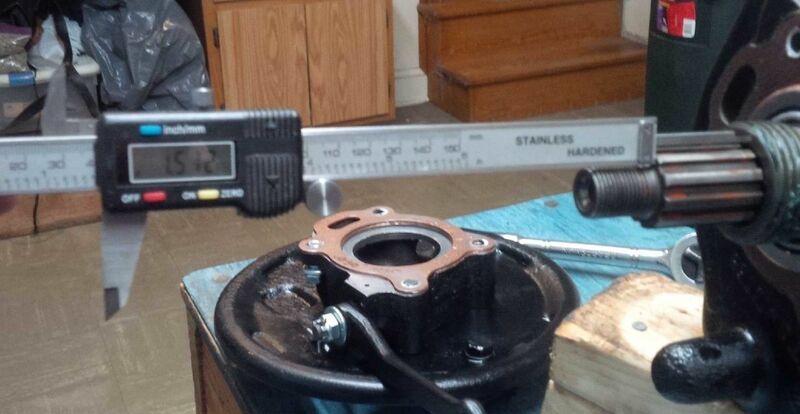 With the drive gear all the way forward, the distance from the gear to the end of the splines is 1.512". 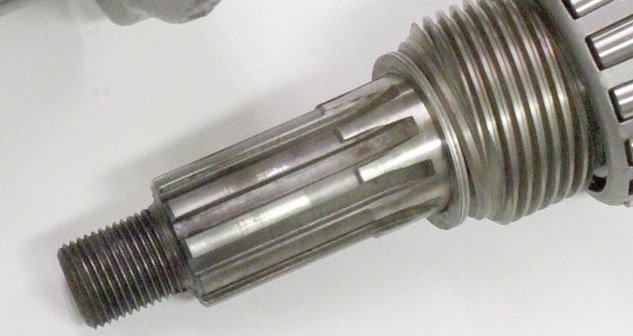 The splined portion of the companion flange is 1.503". So it is only .009" short of contacting the gear. I don't want the washer under the nut bottoming out on the splines. So it seems like adding .030" - .050" of shims should give plenty of pressure on the gear and keep the washer from bottoming. Does this make sense? Thanks. Yes the short 4 tooth drive gears are actually a tad under 1" as you indicated above. And all of the various later and longer drive gears are a tad over 1.165". 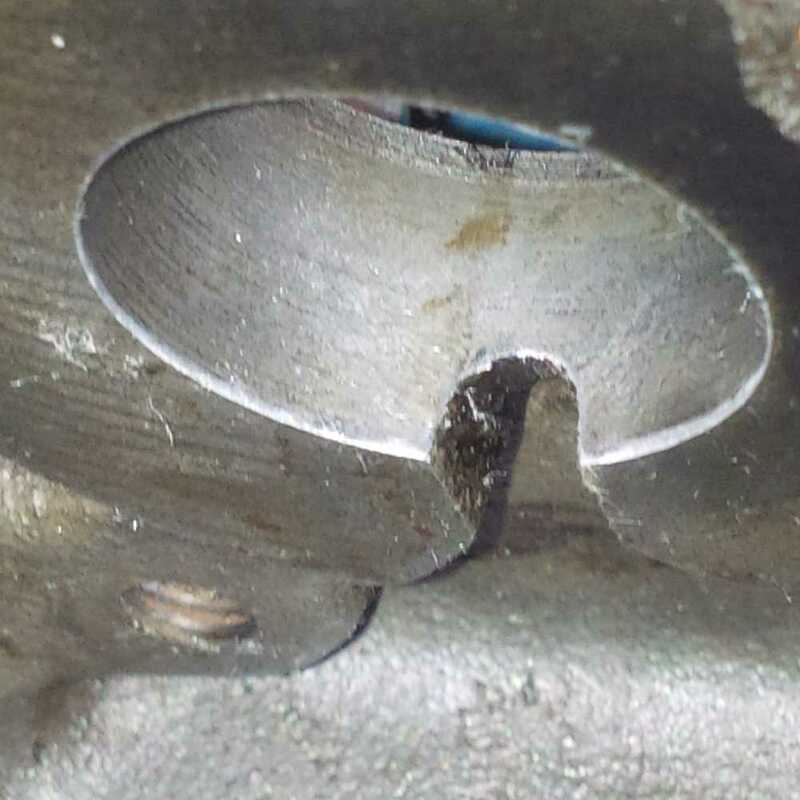 That's certainly a difference of over 1/8"
Anyway I think your idea concerning installing of a .030 shim pack is right on track to compensate for your short companion flange. No need to add a lot of extra shims when you only require just enough to press the companion flange down onto the speedo drive. .020" or so of extra shim stack should easily provide good pressure to the speedo gear. Good luck Steve and let us know how that turns out. Ok good - thanks Ken. I'm not a patient man.... the speedo shims I ordered will not be here for a week or two. So I thought I'd make my own. 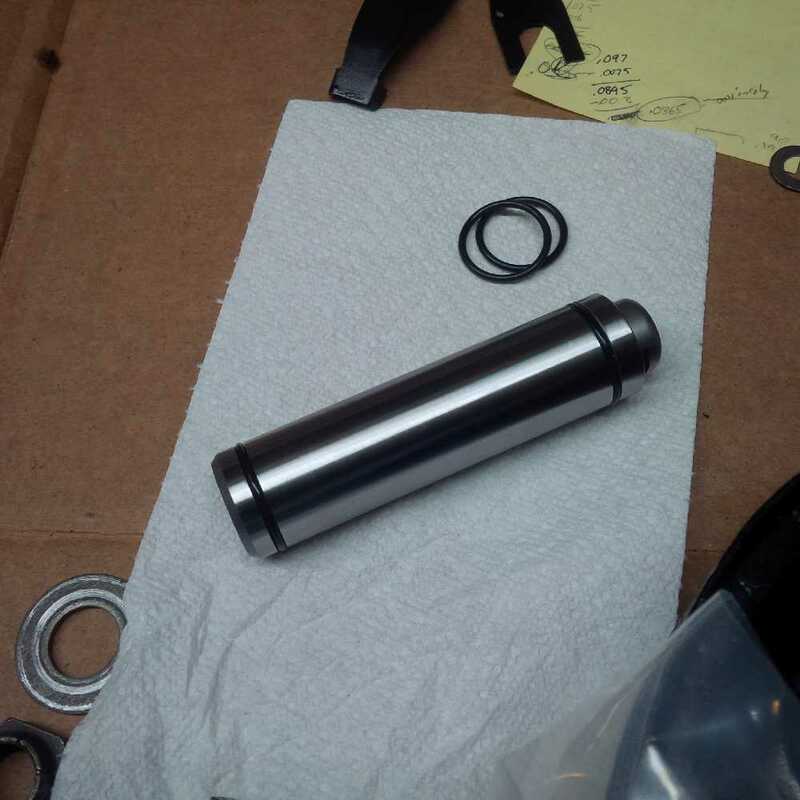 On the way home from work this afternoon I picked up a machine bushing with a 1-1/8" bore, .081 thick. But it's OD was too big at 1-3/4". So I put it in the lathe and turned down the OD to 1.5". I think it fit nicely and looked about the same as the shims on the D20 in the photo I posted yesterday. It's thicker than I said I'd use yesterday, but I think it will be ok. 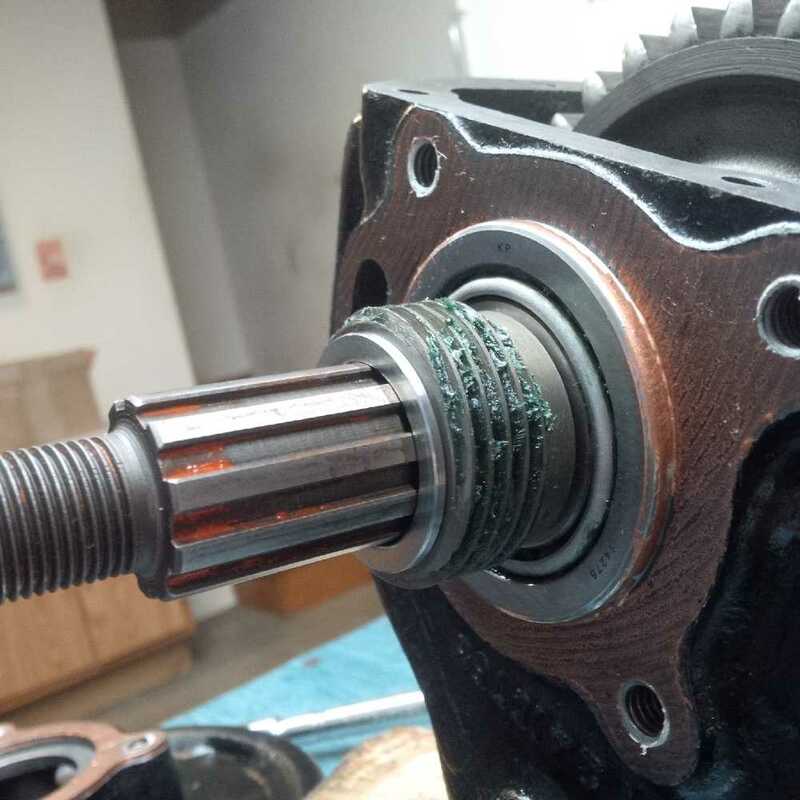 So I removed more rear bearing cap shims to reduce the output shaft endplay. Got it down to .003". I then assembled the brake and installed the companion flange and tightened it as much as I can by myself. The speedo gear is now locked in place and the driven gear now turns! 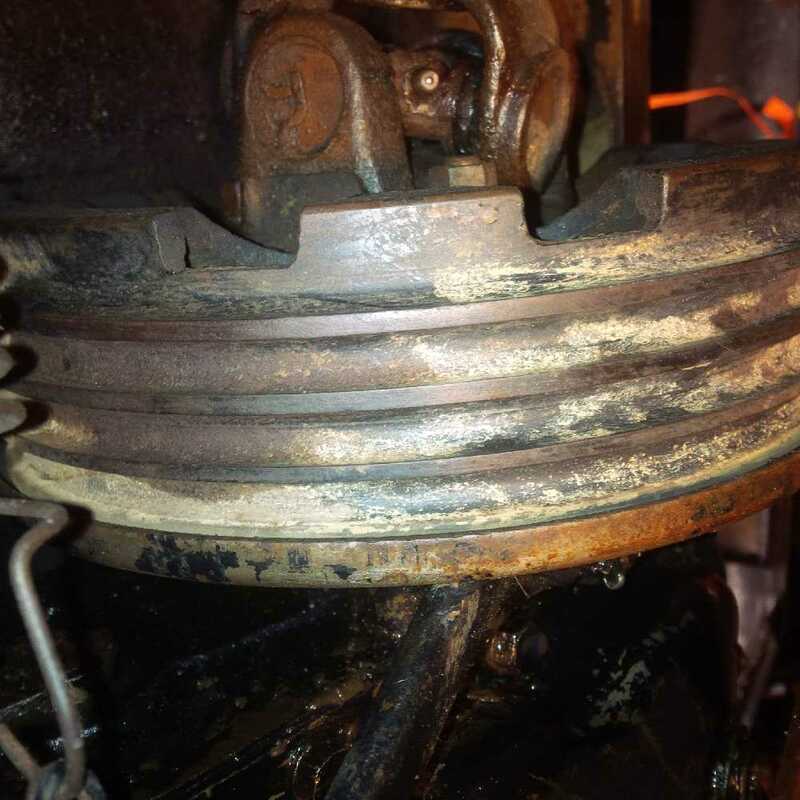 I compared the position of the brake drum to the backing plate with the one in my jeep. The jeep's seems to be spaced a little further away. Not sure if it makes much difference. The drum rubs a little on the backing plate, but the plate is a little bent too. I'm not sure how far out the drum should be. I could add more spacers if I need to. Yeah I thought that you had a lathe. I was wondering why you did not just go ahead and make a spacer instead of ordering the D20 shims. I estimate most any spacer of reasonable thickness could be used. I could measure the exact length difference between the early and late companion flanges if it matters. It's somewhere very close to .1875"difference. After comparing the position of the drum to the backing plate on this one and the one in the jeep, I determined the drum was too far in. This also made me be concerned that the seal was riding too far up the companion yoke. So I pulled the drum again and measured the distance from the spacer to the outer rubber seal lip. It was .579". Then I measured .579" from the inner end of the splined yoke to see where the lip made contact. It was just barely on the repair sleeve. Clearly the yoke was still seating too deep. I had another .080" thick machine bushing, so I reduced the measured position to .499" from the end of the yoke. That put the outer and inner seal lips well within the repair sleeve area. So I put this bushing in the lathe and reduced its OD to 1.5" (same as the other one). Then installed it and the drum. Much better! The seal rides in the right place and the drum no longer rubs the backing plate. So adding .160" of spacers seemed to be just right. Its all good, I'm getting a lot if experience! You obviously have an excellent eye for quality control. You shoulda worked for WO.. Ha ha ha ! He is currently doing just that... as we all do!! Great thread! You have to get payed to be employed ..... Ha Ha ! Well, fortunately I went into this as a learning project. I'm in no real hurry to complete it, so I can take my time to learn from my mistakes and double check everything as I go. If I do another one, I expect it will go a bit easier. Experience is a good teacher! Looks like I'm needing the shorter companion flange for my higher ratio speedo gears. Oh noooo - not really surprising! My Novak intermediate shaft arrived and I got it installed tonight. I wasn't sure if I could get the O-rings in without damage. I carefully chamfered the entrance side of each hole with a needle file, followed by some 320 grit wrapped around a stick to polish the chamfer. I greased them up and slipped the shaft in. To my surprise, the O-rings slipped right in without any problem. Whew - that was a relief!